Do you like things that are….SHINY! Today we want to spotlight a video that is actually a fanmade animation! So get ready to see something that shines as we feature an animation by GinjaNinjaOwO. 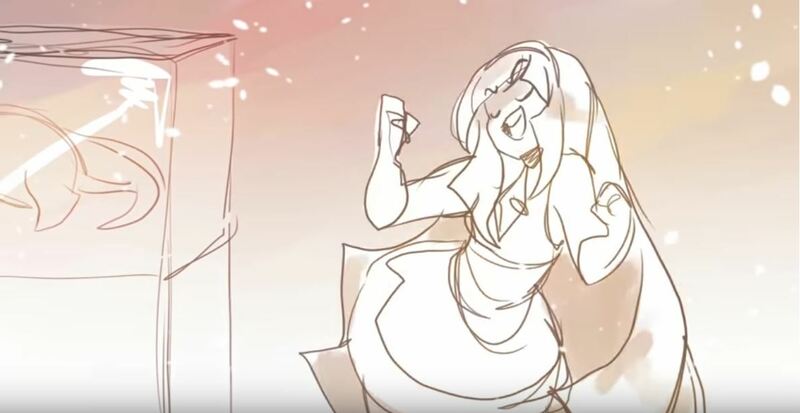 GinjaNinjaOwO decided to make an animation that features Lusamine with the song Shiny from Disney’s Mohana. This song features Lusamine as she dance around Aether Paradise. All of this to the tune of Shiny while trouncing upon her children Lillie and Gladion. One of the biggest reasons why I wanted to show this animation is because GinjaNinjaOwO decided to give us a behind the scenes look at Lusamine and her family. During one part of the animation you get to see how Gladion was able to get away with Type: Null. This is all head canon but it is great head canon that makes sense! Though, some parts of the animation does involves moments with blood. So you may want to be careful with that part. Go ahead and watch this animation by GinjaNinjaOwO. Is it good? Does this animation gives you a good idea of what things were like before the start of Sun & Moon?